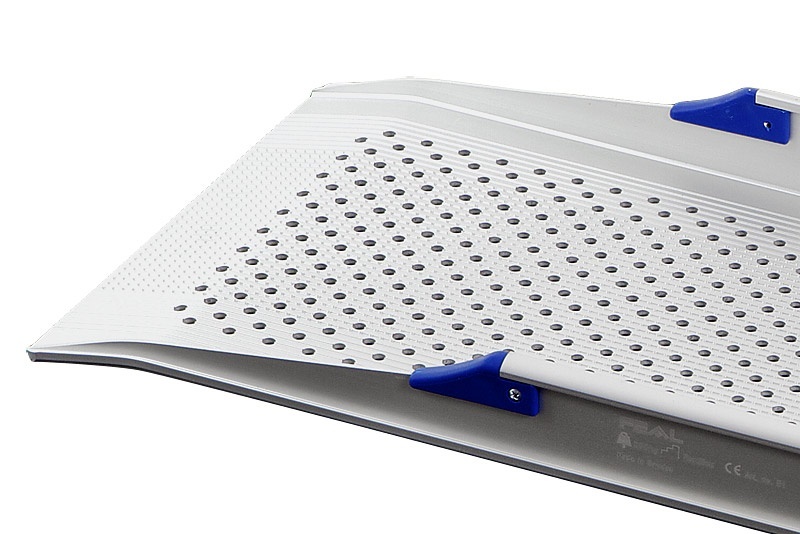 Standard Channel Ramps With Anti Slip Surface. 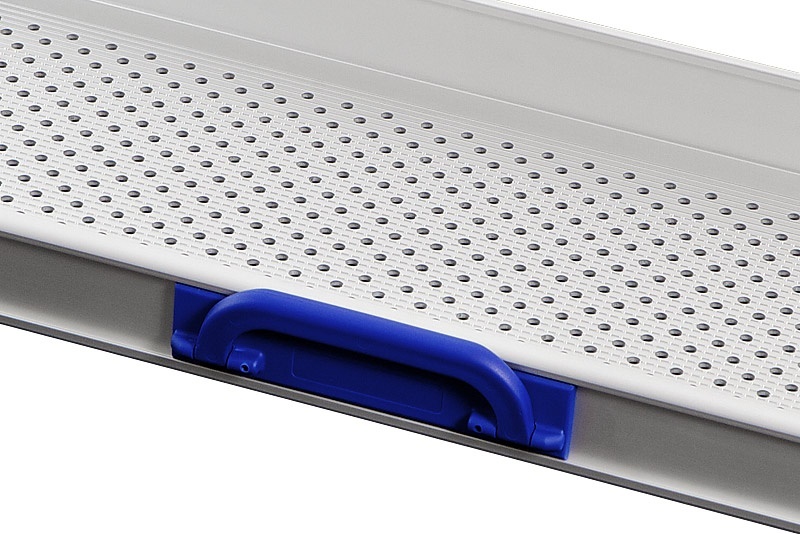 The Standard Channel Ramp is a versatile, easy to use wheelchair ramp with numerous applications. Like the other channel ramps in our range, they feature an unrivalled anti-slip surface with raised lengthways ridges to make both upward and downward movement on the ramp safe and secure. The raised 52mm side sections on all of the ramps also help to ensure safety when in use by preventing the wheelchair’s wheels from leaving the ramp. 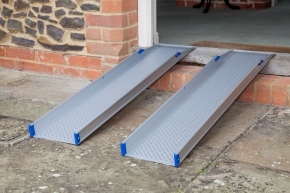 Fabricated from high quality aluminium which has been anodised for even greater strength and durability, these ramps have also been redesigned to make them 10% lighter than ever before! Really easy to use – simply rest and go! Available in lengths from 55cm up to 116cms. 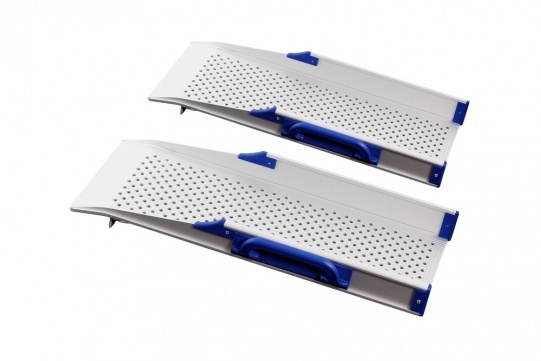 With a loading capacity of 400kgs, these ramps are suitable for both wheelchairs and mobility scooters. Exclusive 5 year warranty on all channel ramp models. We have not actually used the ramps yet, but they are sturdy and look exactly what we want.